Add color and character to your home and yard with Hang-A-Pot flower pot hangers! Weather-Resistant: Designed to withstand extreme temperatures and hold strong in high winds. Multipurpose: Hangs pots to beautifully display flowers, vertical herb gardens, or clay pot crafts. Strong: Supports heavy pots filled with plants, flowers, and soil without fear of falling or collapsing. Versatile: Hangs any type of herb or flower pot (clay, terracotta, ceramic, etc.) with lips 4” to 10”. If you’re looking for a wall mounted flower pot holder in order to beautifully display your herbs, orchids, flowers, and other plants, check out Hang-A-Pot! 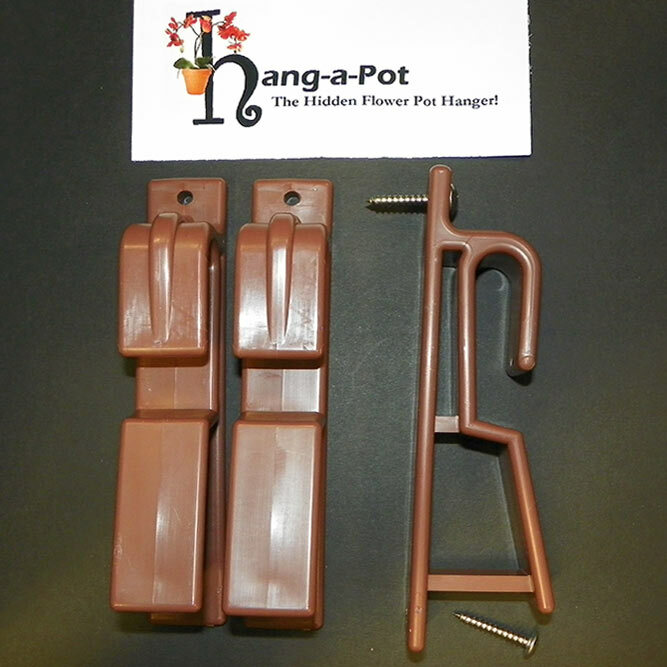 With it’s easy installation, Hang-A-Pot makes an easy flower pot hanger that just about anyone can use. Within minutes, you can attach this durable clay pot hanger to virtually any interior and/or exterior surface. Once your flower pot is hung on Hang-A-Pot, our hook essentially disappears, allowing the true elegance of your flowers to display themselves without distraction for year-round enjoyment. From herbs to flowers, Hang-A-Pot is perfect for vertical gardening of all types. Our pack of nine hangers is perfect for those looking to add touches of color and flair to their space. Get yours today!